The big breweries of the world have jumped on the cider bandwagon in an effort to bolster their bottom lines as sales of their flagship products flatten. 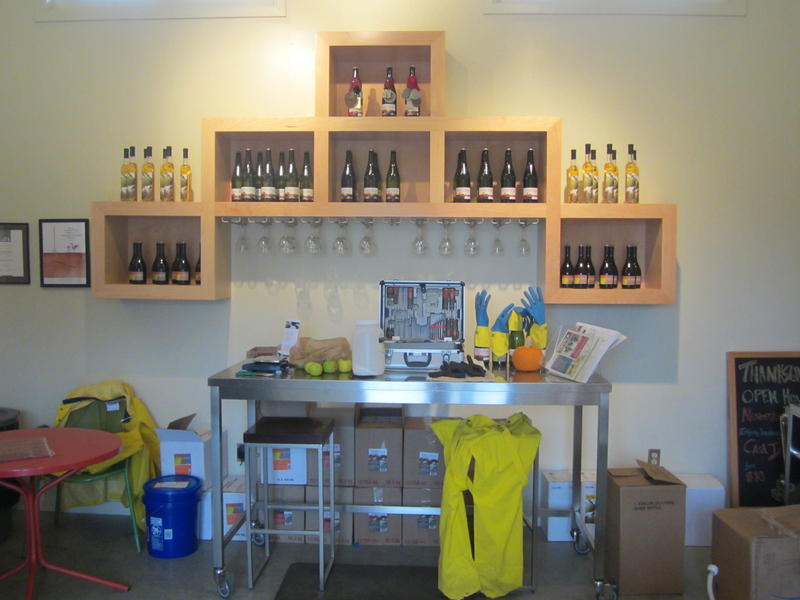 With their mighty ad dollars and distribution muscle they’ve been a significant force in driving the cider category’s astonishing growth and created myriad opportunities for hundreds of small, craft cideries. But cider taking a piece out of American beer sales is only one part of the story. Within the niche that is the cider market is a corner occupied by a dedicated and passionate group of cider makers who’s goal is to produce the cider equivalent of fine wine, cider crafted to express the unique character of the unadorned apple. 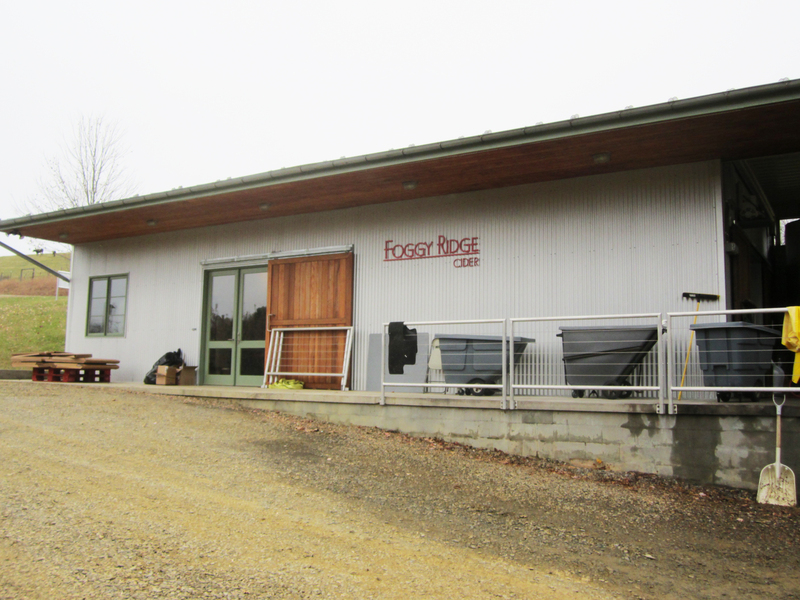 One such cider maker is Diane Flynt of Foggy Ridge Cider. Diane grew up in the Piedmont area of northern Georgia, granddaughter of farmer and daughter of an engineer with a naturalist’s heart. Some of her earliest memories are of plants and gardens and bird song, so while she enjoyed a first career as a successful professional, she aspired to return to a rural life and get her hands back in the dirt, to produce something tangible after spending years in a world of ideas. She and husband Chuck found a perfect piece of land in the southern Appalachians near the small Virginia town of Dugspur. Too high at 3000 ft for grapes, they set their sights instead on apples, and by 1998 had built a house and put in their first orchard to see what would thrive, a mix of 35 varieties of heritage American and English cider apple,. Diane continued working as a business consultant for the next 5 years, allowing for extended periods of time away from an office that she could use to tend the trees and study the cider maker’s art – cider making courses in the U.K., enology classes at Virginia Tech, stints as a volunteer worker at several of the like-minded cideries that could be found at the turn of the 21st century America. 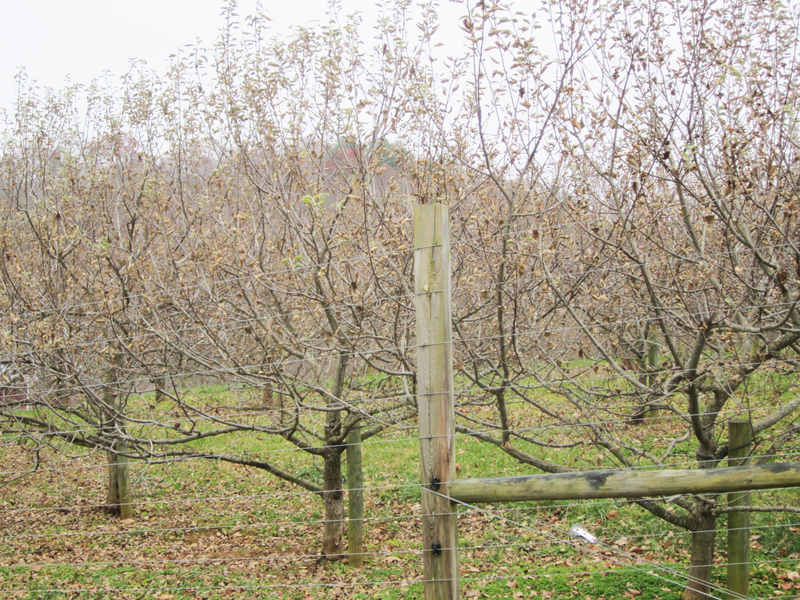 They bought more land and planted more trees, and sold their debut vintage in 2005 as the first cidery south of Massachusetts since Prohibition. 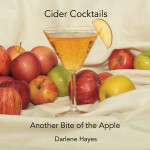 It was clear from the start that Diane’s intention was not to fill kegs for the corner pub but to make ciders that would be welcome on the wine list of any discerning restaurant. Compatibility with good food was, and is, key, and the ciders have been embraced by chefs throughout Virginia. 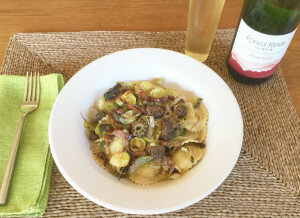 Farther afield Foggy Ridge ciders have appeared in many national food magazines including Bon Appétit, Saveur, Food and Wine, Gourmet (in their last issue), and Martha Stewart Living. Diane herself was nominated for a James Beard award in 2015. In the Foggy Ridge approach the apples are clearly the stars of the show. Each variety is harvested when fully ripe rather than picking to a particular schedule. 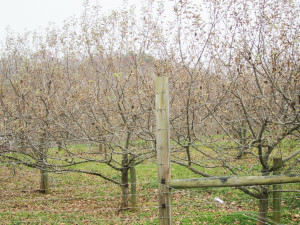 Some, such as the Newtown Pippin, are pressed as soon as they’re picked while others, benefit from 2 – 3 weeks in storage to reach their ultimate potential. The musts are slowly fermented, separately, in stainless steel tanks using yeast strains chosen to bring out the best of the fruit without adding their own quirky flavors, then aged and blended to achieve a signature taste. Temperature control and exacting cleanliness are crucial, reducing the need for bacteria-controlling sulfites and minimizing filtration, which they believe can strip out some of the more delicate flavors. The mindset is that of a fine wine maker, and indeed noted wine consultant Jocelyn Kuzelka joined Foggy Ridge as cider maker in 2011. With masters degrees in both enology and microbiology, she brings modern scientific rigor to this most traditional of beverages. The ciders speak for themselves, reflecting their mountain terroir of bitterly cold winters and hot, humid summers. Serious Cider, the favorite of a New York Times tasting panel chaired by wine expert Eric Asimov in 2013, is a blend of classic English cider apples, Tremlett’s Bitter, Dabinette and Ashmead’s Kernel, with Roxbury Russet, the first named variety originating in North America. It is crisp and dry with understated carbonation and the subtle flavors of plums and pears. Its bright but balanced acidity is the perfect foil for a rich buttery sauce or creamy cheese. At the other end of the sweetness spectrum is Sweet Stayman, primarily made from Stayman apples, a descendant of the Winesap discovered in Kansas in the mid-19th century, with a handful of others such as Grimes Golden (another 19th century apple and parent to the Golden Delicious), Cox’s Orange Pippin (reputedly one of England’s most flavorful apples), and some Ashmead’s Kernel for a bit of acidity. Off-dry despite it’s name (1.6% residual sugar) it is reminiscent of a dry Riesling, full of rich fruit with a foundation of acidity to keep it from flabbiness, just the sort of thing you’d want with a smoky barbecued brisket or a spicy thai stir-fry. A lovely, warm, and gracious woman, Diane has more than a bit of steel in her spine when it comes to her beliefs about cider. It would be unthinkable for her to consider adding hops or other fruits, although she understands why some cider makers do. In part it comes from the mindset of many cider makers with brewing backgrounds – expressing the unique flavor of a strain of barley is seldom the goal. And in the rush to join a high growth market many don’t, or can’t, take years to study the intricacies of fine cider making. But the bigger issue is perhaps simply the paucity of interesting fruit. The most widely available apples may be fine for fresh eating and applesauce (although even this may be debatable), but lack much in the way of character once fermented making for thin, undistinguished ciders on their own. This problem is unlikely to be solved until the large growers, the ones in a position to put in 20,000 trees, are convinced that the market for their apples will be there once the trees begin to bear. In the meantime, Diane does what she can to promote her vision. She sits on the Virginia Wine Board and has worked with legislators to create laws that support the growing cider industry there. Each year she provides scion wood to orchardists around the country wanting to plant cider apples, and in 2008 founded ApplesCorps to teach home growers about old apple varieties and tools to preserve them. And for each of the last 3 years Foggy Ridge has welcomed a paid intern to learn the craft first hand. It’s a way to give back to the industry, and seed a new generation with a passion for the remarkable apple.